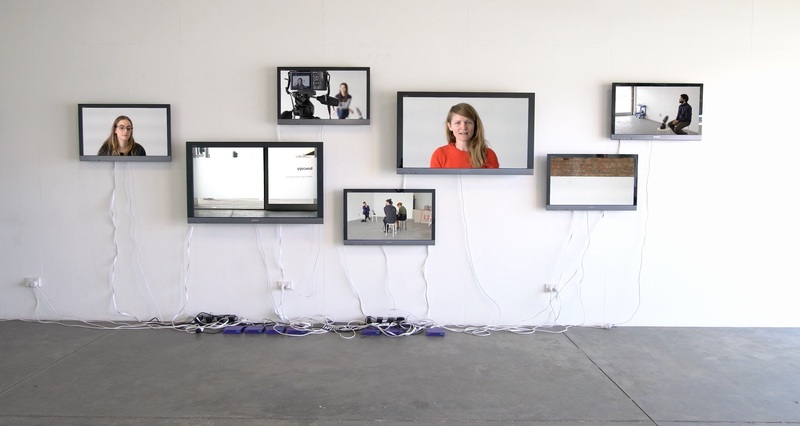 About by Simone Hine, is a 7 channel video installation presented as part of Decade: Project for Future Alternatives at Boxcopy in Brisbane, July 2017. About, 2017. Site Specific Seven-Channel Video Installation. 4K. 19min 2sec.